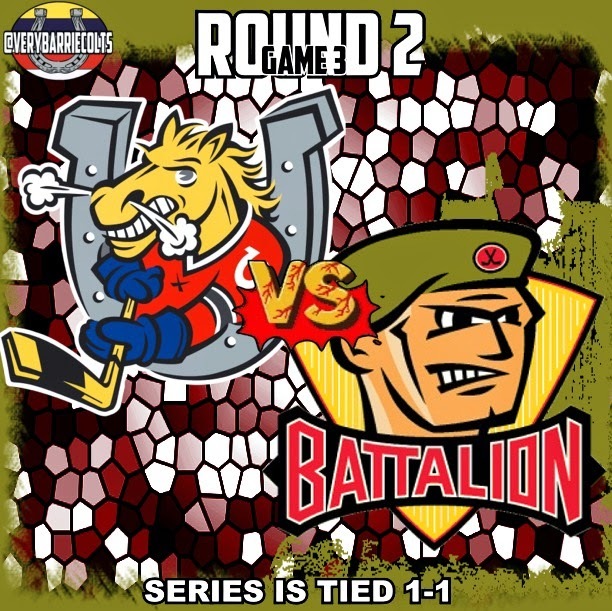 Game Preview: @OHLBarrieColts vs @OHLBattalion Game 3 in North Bay. 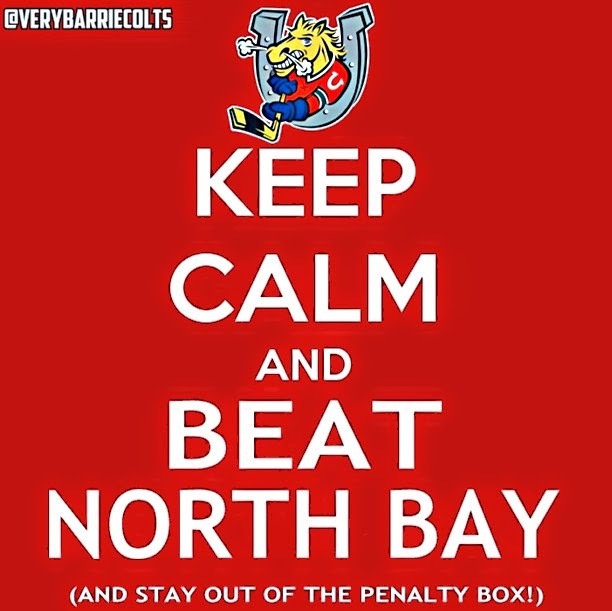 #OHL #Playoffs - Very Barrie Colts | A website covering the Barrie Colts of the OHL. Tonight is Game 3 of the OHL Eastern Conference Semi Finals between the Barrie Colts and the North Bay Battalion. The series heads over to North Bay tonight following a Battalion win on Sunday Night to tie the series 1-1. The loss on home ice on Sunday was a tough one not only because it was in front of a home crowd at BMC but the game winning goal by Nick Paul was a short handed goal against the Colts. It was the second goal of this series that the Colts allowed with the man advantage. Here are a few things to look at headed into tonight's game 3. North Bay has outs shot Barrie 70-56 total in the first two games. In the 3rd periods; North Bay has out shot Barrie 21-10 over the two games. North Bay has 2 short handed goals and have gone 2/8 on the power play. Barrie has gone 1/8 on the power play. Joseph Blandisi has 4 minor penalties total in the two games. Brendan Lemieux has registered a point in both games since returning to the lineup. North Bay has only scored one even strength goal so far in this series. Barrie has score 4 of 5 goals 5 on 5 compared to North Bay getting 1 of 5 at even strength. Barrie needs to re evaluate their plan on the power play. First, allowing 2 goals on the power play is unacceptable. Especially when you have only scored 1 on the power play. One thing to look at was the team had been doing well on the man advantage when Hooey was filling in for Lemieux while he was out with a hand injury. It seems to make sense putting Lemiux back in the top PP unit, especially following his season where he lead the OHL with the most power play goals. Right now though, it isn't clicking. Maybe giving Garrett Hooey some time will get the PP back into working order. Losing as much time as Lemieux did can effect a teams chemistry. I would look for possible changes if the PP continues to be slow. Keys to Success: Other thank trying to correct a very sloppy power play the Colts need to really look into how they enter the offensive zone. I wish I would have started to keep track earlier but often I find they are crossing the blue line and dropping the puck for the trailing man. This can be a strong strategy because it gains control WHEN the following player receives the puck. Many times this hasn't been the case and the puck is getting turned over. When this happens you get caught in transition and it is tough to get back into position. Barrie really needs to be sure when they are making these passes and if they are not sure they have offensive support they might be better off dumping the puck into the zone and chasing it. Also.. STAY OUT OF THE BOX! Special teams have not benefited Barrie either way up until this point. They need to be careful with their sticks and if they get a call, just let it slide. They were lucky to kill off the 5 on 3 last game. Players to Watch: Andrew Mangiapane has been limited to 1 goal and is a -2 so far in this series. I look for him to make a strong effort to be noticed tonight and wouldn't be shocked to see him register a few points. 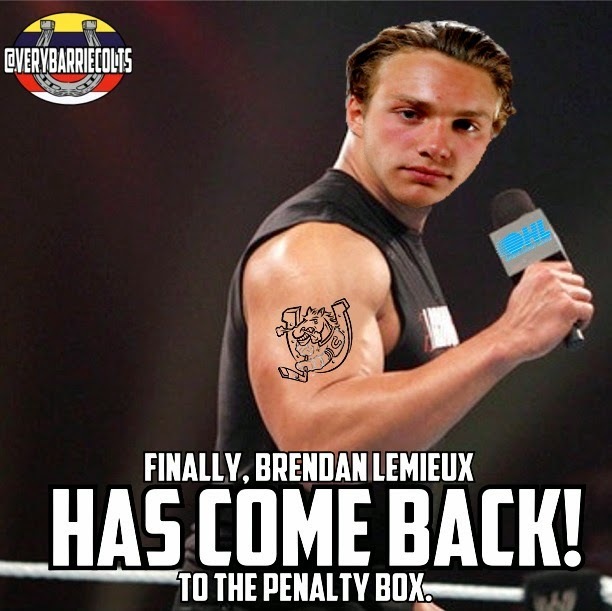 Also I think Lemieux and Blandisi will both have huge bounce back games for the Colts. Kevin Labanc also showed great effort in Game 2 and I would look for him to carry that momentum into tonight. Puck drop is scheduled for 7:00 pm at Memorial Gardens in North Bay.